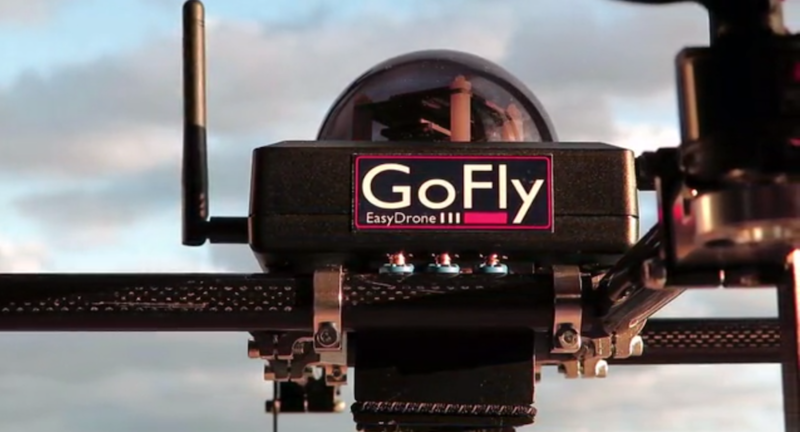 Easy Drone is the latest resource for videographers which captures aerial shots in a quick, easy and affordable manner. The equipment can be used straight out of the box, while it’s convenient to transport and can be quickly setup. The standard features of the modular plug-and-fly aerial solution includes a wireless video and built-in camera gimbal control that simply enables the videographer to get the best shots from high up in the sky. Although drones have recently been a target of the mainstream media, the common aspect between them and the Easy Drone that they look alike, however, most of them are rigid, modular and difficult to transport. In fact, for the existing done equipment, advanced features such as the video stream and gimbal options are far from viable, while there are a number of wires you must deal with every time you deploy. The Easy Drone is lightweight in structure and has a self-supporting proprietary design that—for the most part— have never been seen in quad-copters. It also provides incredible strength, while the compact plug-and-fly solution of the command unit contains an array of built-in features with absolutely no wires. So, the user can wirelessly load new settings, making it a highly optimized tool kit for your aerial videography needs. With just a flip of a switch you can auto tune for any configuration. No manual tuning is required and the Easy drone can even determine its own settings. There are six flying modes which easily enable the device to fly, just connect the device to your computer or tablet and set path points that can also be changed wirelessly. Not to mention, you can easily plug in any camera feed and view the live stream from the ground. The device uses a battery to power the camera while transmitting video. In fact, you can also view important flight data on the video screen such as speed, altitude, battery status, among others. While the Easy Drone is standard equipment designed for photographers and videographers who like to shoot aerial videos, each ready-to-fly package comes with a custom programmed Turnigy 9X radio with pre-loaded functions, one LiPo battery for drone, along with one LiFe battery for a remote that extends its use time. Contribute to the Easy Drone Kickstarter campaign and help bring this new invention to life!